“If your brother sins against you, go and tell him his fault, between you and him alone. If he listens to you, you have gained your brother. But if he does not listen, take one or two others along with you, that every charge may be established by the evidence of two or three witnesses. If he refuses to listen to them, tell it to the church. And if he refuses to listen even to the church, let him be to you as a Gentile and a tax collector” – Matt. 18:15-17. I haven’t posted much lately except for book reviews – partly because of time and partly because I have been sitting back quietly reading other people’s blogs about offending each other and being careful about each other’s feelings. But today one of my friends was hurt very deeply by someone unwilling to “offend” them, someone who probably meant well but didn’t handle things according to Matthew 18, someone who was unwilling to come to my friend with the perceived offense and give my friend the opportunity to respond as Christ would. And, as it turned out, the person was wrong about my friend, but the damage was already done – simply because that person wouldn’t come face-to-face with my friend. It’s happened to me. A couple of years ago, I offended someone, who felt that they needed to confront me about the situation. But instead of respecting and loving me enough to stand before me and address the matter in a godly way, they sent me an anonymous note that hurt me and gave me reason to distrust many of my friends. It still makes my heart hurt to think that I offended someone and was not given the chance to respond as Christ would have me respond. We are living in a world that is seeking to not offend anyone. But instead of creating harmony, we are becoming a stumbling block for our fellow believers by not seeking to help them to grow. The Boy Scouts is just one recent example of how we are allowing our current climate of “let’s all get along” to affect us. Rather than stand strong as a traditional American group, the Boy Scouts “has become yet another casualty of moral compromise” (tweeted by the Family Research Council). What’s everyone all up in arms about if we should be careful about offending one another? Obviously, there needs to be a balance of love and grace. We need to remember to look at our own hearts first before confronting someone else about an offense. I’m the first to admit that I can be overly sensitive. Sometimes I am offended by someone where no offense was meant. So before I address the other person, I have to get before God and search out my own heart – why did that person offend me in that way? What does that say about me? Recently, this topic of offending one another seeped over into the joy of celebrating Mother’s Day. I was astonished and dismayed to see blog after blog expressing a need to be more sensitive to women who weren’t mothers! One blog even suggested having all women stand so as to not offend single women, infertile women, foster moms, adoptive moms, moms who have gone through abortion, or moms who have experienced a miscarriage. What amazed me was that I read these sort of comments on more than one blog! So a weekend that was supposed to celebrate mom was turned into focusing on those who couldn’t be mothers. To be honest, those blogs were offensive to me. 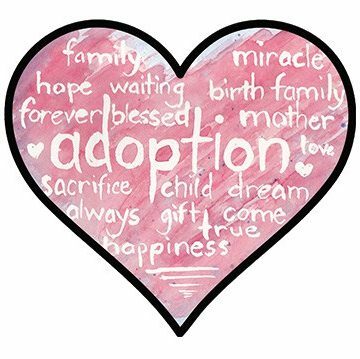 I am that infertile mom, and I am that adoptive mom. And while those days when I longed for a baby made me ache, I could still “rejoice with those who rejoice” (Rom. 12:15a). But the only way I could do that was if I took the focus off of myself and celebrated the joy of motherhood for those other women. And now, as a mom, I can “mourn with those who mourn” (Rom. 12:15b) because I know their pain. As we look back at the original thought of going to the one who offended us, we need to remember that we are going to them because Christ loves them. So many times – such as the instance today with my friend – we are more willing to believe that there is an evil intent in the person who offended. We are willing to believe gossip or misleading facts without investigating the situation for ourselves. We are willing to judge before we know the whole story. We believe these things because we are sinners, too; and deep down, we know that we are capable of behaving that way ourselves. I have been challenged on both sides of the fence lately. On the one hand, let’s not be afraid to confront someone face-to-face if there has been an offense. We may find out we were mistaken about the person, or we may help them draw closer to Christ. But on the other hand (and this is the area of struggle for me), let’s not be so sensitive! Don’t let every little thing offend you, and seek the intent of your own heart before confronting someone else. “Beloved, let us love one another, for love is from God, and whoever loves has been born of God and knows God” – I Jn. 4:7.